Maybe you already know where you want to go on your next holiday or maybe you’re searching for some new ideas. There’s a whole world out there to explore and we are here to help you plan your perfect holiday, and get the best value for your money. 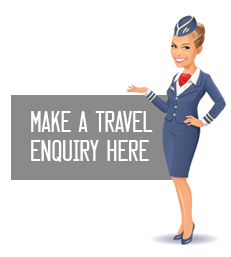 We can help with everything from airfares, accommodation, transport and tours - anywhere your travel plans are taking you. From the beach bungalows and jungle treks of South-East Asia, the Gobi Desert in Mongolia, the Himalayas between Nepal and China, inspiring ancient temples in Cambodia and as much Dim Sum you can eat in Hong Kong. 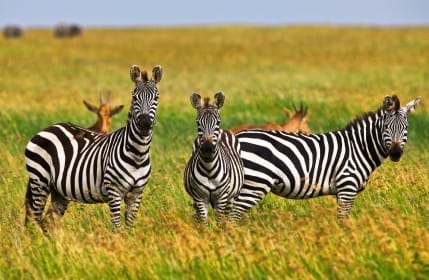 Tanzania - the home of Mt Kilimanjaro, the coastal island of Zanzibar, the annual wildebeest migration from Maasai Mara to the Serengeti, the Zambezi River and the massive Victoria Falls which forms the largest curtain of falling water in the world. Experience the shopping mega-malls and sprawling desert oasis of Dubai, the bustling Medina of Marrakech and movie-famous Casablanca in Morocco, reflect at historical sites Anzac Cove, Lone Pine and Chunuk Bair in Gallipoli. Visit Anaheim - the home of Disneyland fun, take a classic road trip like the old Route 66, stay up late to see the Alaskan midnight sun, visit one of the world's most active volcanoes in Hawaii. See the Mayan ruins and volcanoes of Guatemala, listen for Salsa dance rythyms in Cuba, scuba dive the crystal clear waters surrounding Barbados, visit Teotihuacan in Mexico City - the place where the Aztecs believed the gods created the universe. 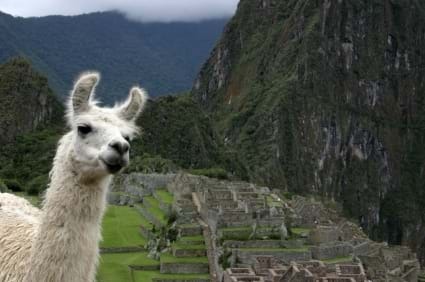 Witness one of the world's biggest festivals - The Carnival in Rio de Janeiro, hike the Inca Trail to Machu Picchu, stay in a jungle lodge in the Amazon, cruise the unforgettable Galapagos Islands. Snowboard in Innsbruck - the capital of the Alps, climb the Eiffel Tower for one of the best views over Paris, take a Guiness tour in the Emerald Isle, go flamenco dancing in Spain, or sample some of the world's finest chocolate in Belgium. 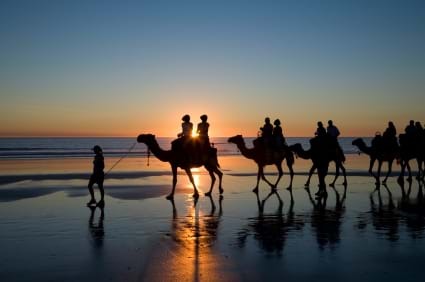 Enjoy the wide open skies and changing colours of the Red Centre, journey back to our convict past in Tasmania, watch the setting sun from a camel's back on Cable Beach, take the family to the Gold Coast theme parks, or cruise the Great Barrier Reef. Boiling mud pools in Rotorua to snow capped mountains of Mt Cook National Park New Zealand, go waterfall abseiling in Vanuatu, enjoy a tropical island escape to Fiji, or have your breakfast delivered by canoe to your overwater bungalow in Bora Bora. Find your sea legs and sail across the Antarctic Circle aboard an expedition vessel and discover the extraordinary and surreal beauty of the amazing "white continent". Explore the North Pole, watch calving glaciers, be spellbound by the Northern Lights over the high Arctic.